C is for Czar, K is for Knight, M is for Mnemonic, and P is for Pterodactyl, in this amusing book by a rapper and a computer programmer. Read more about it (and see more pictures!) at Bored Panda. 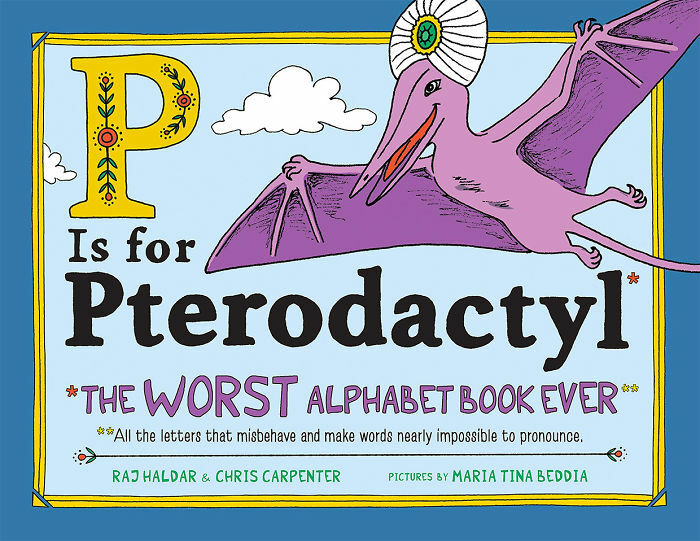 I think I might need to buy P is for Pterodactyl… that looks too cool! I DNF books much more now than I used to. I don’t know if it’s because I have less patience (which is weird because in most things, I have more patience than when I was younger, or simply because I’m reading more new-to-me books and authors and thus have more chance of not “clicking” with a few of them.